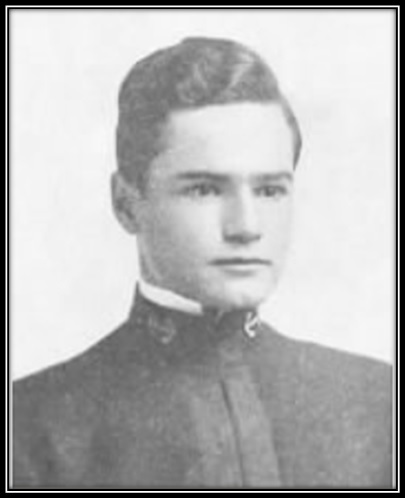 James Parker, Jr. served in the US Navy aboard the USS L-8. 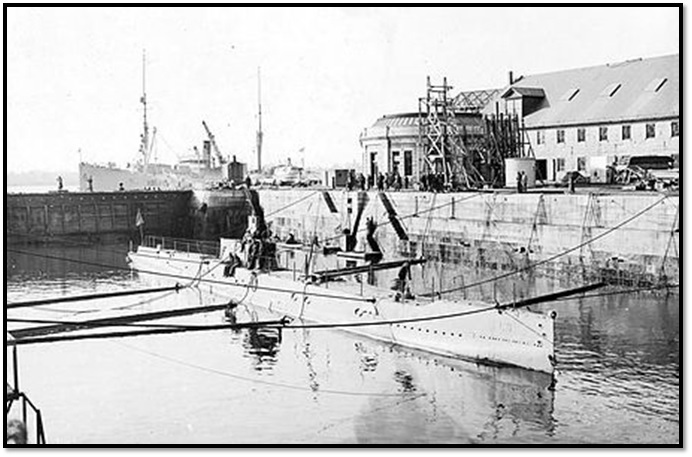 L-8’s keel was laid down on 24 February 1915 by the Portsmouth Navy Yard in Kittery, Maine. L-8 was launched on 23 April 1917 sponsored by Miss Nancy Gill, and commissioned on 30 August 1917 with Lieutenant J. Parker, Jr., in command. Following training operations along the East Coast, L-8 prepared for European service. Departing Charleston, South Carolina, under the command of Lieutenant John N Bloom (Burton 374), on 20 October, the submarine steamed for the Azores to join Submarine Division 6 for patrols against U-boats. She arrived Bermuda on 13 November, two days after the end of World War I, and was ordered to return to the United States. After exercises and visits in Caribbean Sea and Central American ports, L-8 crossed the Panama Canal (Burton 374) and arrived San Pedro, California, on 13 February 1919 to join the submarine flotilla on the West Coast. Remaining there from 1919 to 1922, she experimented with new torpedoes and undersea detection equipment. Following a period of commission, in ordinary, early in 1922, L-8 departed San Pedro on 25 July for the Atlantic, arriving Hampton Roads, Virginia, on 28 September. L-8 was decommissioned on 15 November 1922. L-8 was ultimately destroyed as a target during testing for magnetic influence exploders for torpedoes, off Rhode Island on 26 May 1926 (Miller 117). This was the only test with live torpedoes of magnetic exploders conducted by the Navy in the 19 years before the World War II period.